E-Cigarettes are an alternative to a regular tobacco cigarette that creates water vapour that can be inhaled just like smoking. It can be completely nicotine free, or you can choose from a variety of nicotine strengths. The big difference is that they are safer than cigarettes, as they have flavoured smoke without the harmful chemicals. Diamond Mist was established 2012 after the smoking ban in the UK, and has become one of the leading brands of e-liquids and accessories. 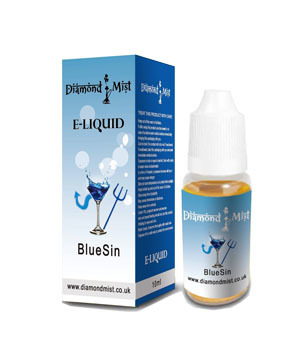 All their liquids are manufactured in the UK.Diamond Mist uses the finest quality sourced ingredients and offer the widest range in flavours. FLAVOURING: Flavour is added to create a satisfying aroma. PROPYLENE GLYCOL (PG): Dilutes the flavour and produces a smoke like vapour. VEGETABLE GLYCERINE (VG): Viscous and sweet, also produces a smoke like vapour but with a reduced throat hit.